Alright, who hasn't tried Nando's before? 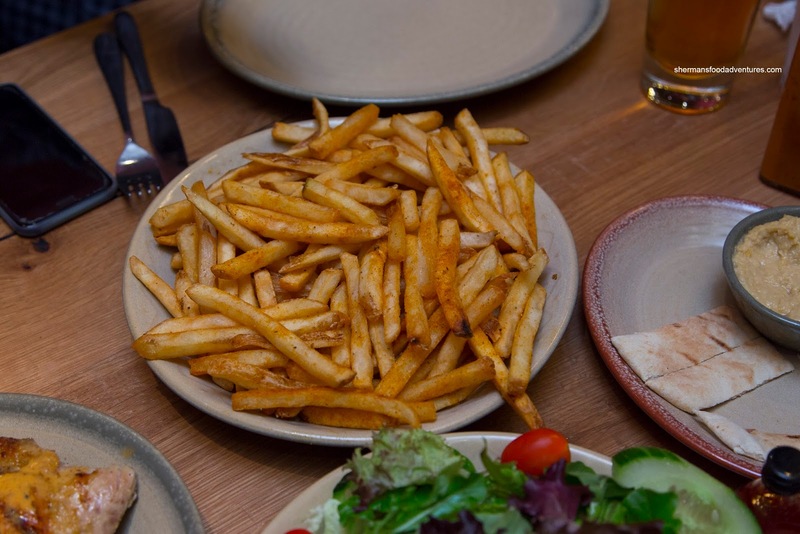 I bet most, if not all of you have stepped into a Nando's somewhere (and there are many of them) to dine on their Peri-Peri Flame-Grilled Chicken. Okay, to get this out-of-the-way first, it originated out of South Africa and no, it isn't really Portuguese, but it does have influences (this is for those, "hey, I'm Portuguese and this isn't authentic Portuguese" complainers). 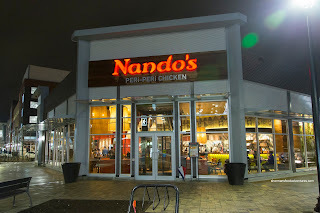 Now with that said and done with, I will proclaim a personal bias that I've always enjoyed the chicken at Nando's (when there were less locations). Hence, when I was invited to the new Central at Garden City, they didn't have to ask twice. We were started off with the hot Peri-Peri Whole Flame-Grilled Wings which, as the name suggested, were both the drumette and mid-wing still attached. Not sure it had anything to do with the meat being juicy and tender, but I'll go with that. On the outside, the skin was fairly rendered and charred. 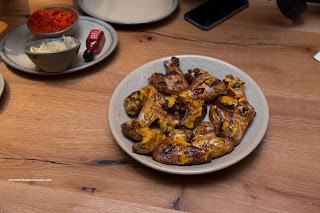 Personally, I love it extra-hot, so I doused each wing with even more Peri-Peri. Before we got down to the chicken, I sampled some sides first including the Peri-Peri Fries. These were hot, crispy and spiced. No need for any ketchup here because... yes, I doused them in some Peri-Peri! I could drink that stuff! 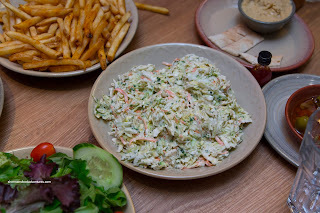 Other than the Green Salad, we also had the Spiced Rice and Hearty Coleslaw. To everyone's horror, I actually dug into the salad. Hey, we all need our greens right? There needs to be some balance with all that spicy chicken. Anyways, the rice was indeed nicely spiced with only a touch of heat. There was the sweetness of onions and the rice itself was not too soft exhibiting a dry chewiness. As for the coleslaw, it was crunchy and appealingly tangy. It was fairly aggressively dressed though, but again, the tang kept things light. 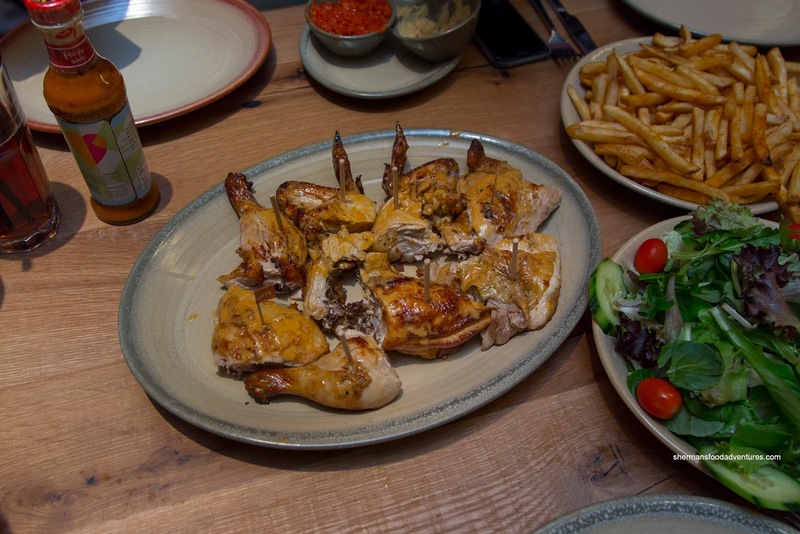 Of course we couldn't forget about the Flame Grilled Chicken right? We were served a platter of the aforementioned chicken with medium Peri-Peri. Naturally, I doused it with extra-spicy to kick the flavours up. As for the chicken itself, the meat was tender and moist, including the breast meat. It wasn't juicy per se, but not dry either. I thought the marinade to be mild, yet it was not really that important as I added more sauce anyways. Since this was a media event, I can't comment on the service, however, the food was typical Nando's. 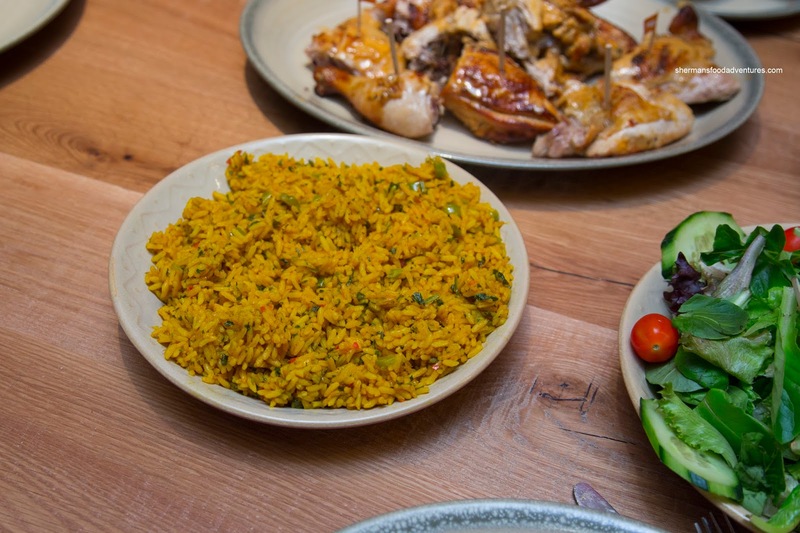 For me, this was satisfying and just gimme more of that extra-hot Peri Peri. - Don't go when you're in a rush, but then again, wouldn't you want freshly made food?